The right kind of home insulation makes all the difference between sweltering the summer days away and shivering during the winter. Nexgen provides superior service to residents of all Southern California communities. Our company is Google certified for Home Services, and each employee is thoroughly vetted via comprehensive background checks for your piece of mind and safety. Fluctuating Temperatures: Good insulation keeps interior temperatures consistent. Fluctuating room temperatures cause discomfort for household residents and make it difficult to maintain the optimal indoor environment. High Energy Bills: Those who live in poorly insulated homes invariably contend with high energy bills. Cold Walls: Homes lacking proper insulation frequently have cold walls, ceilings, and floors. Insects: Substandard or nonexistent insulation serves as an open invitation for insect pests to make themselves at home in your house. Water Leaks: Badly insulated homes also experience a significant amount of water leaks, which leads to the development of mold and mildew colonies. Noise: A well-insulated home also keeps exterior noise such as heavy traffic from disrupting household residents. Attics — well-insulated attics keep heat from escaping through the roof during winter and helps keep it out during hot summer days. Attic insulation also helps keep unwanted pests from accessing the home interior. Air ducts — Air duct insulation not only saves energy and keeps utility costs down, it helps prevent the distribution of dust, mold spores, pollen, pet dander, and other unwanted particulates throughout the home. Poorly sealed ductwork also provides one of the most common ways for rodent and insect pests to gain access to the home interior. Exterior Walls — insulating exterior walls helps keep interior walls closer to room temperature. It also keeps cool air from escaping when outdoor temperatures are high. Many homeowners find that the utility bill savings that result from having exterior insulation installed is substantial. Crawlspaces — an insulated crawl space helps keep the chill off household flooring. It also discourages mold colonies from building up in the crawl space to the extent that they cause structural damage to the home. 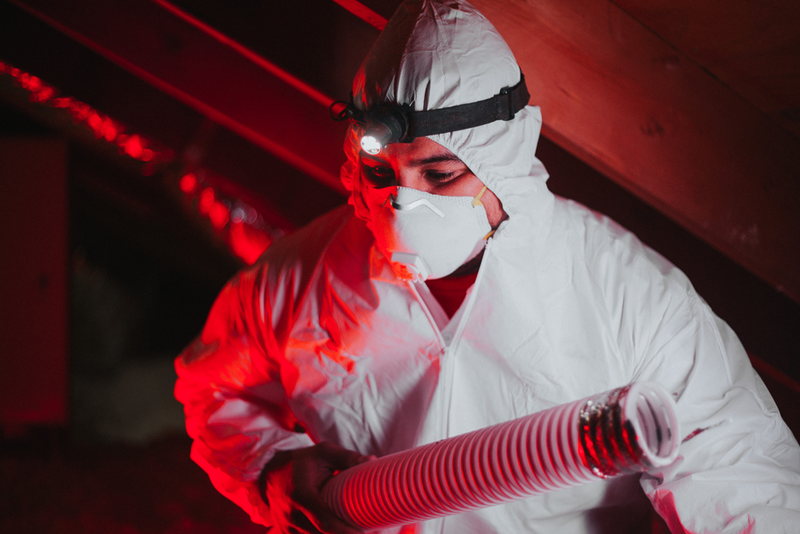 Good insulation creates a layer of protection against insect and rodent pests that typically live in crawl space environments. Best-in-industry warranties. Customers enjoy up to 12 years of piece of mind with Nexgen’s warranty programs. Financing options. Nexgen’s customers have a wide variety of available financing options from which to choose. Our service reps can help you find the financing program that’s right for your individual needs and preferences. Wide service range. Nexgen provides service for all of Southern California and has offices in Los Angeles, Anaheim, and Palm Desert. Please feel free to contact our office at your convenience to find out how choosing Nexgen as your Southern California home insulation contractor can help save you money by keeping heating and cooling costs down without sacrificing the comfort of household occupants.